As published in Success NQ August/September 2018 editions, available here. I heard it many times in the days that followed the NQ Chambers Business Awards in early June. Our phones were running hot and our Facebook content reached 68 000 screens in a single day. The Awards were a great success. There was more than three hundred people in attendance on the night, including 26 finalists from Hinchinbrook, the Burdekin and Townsville. And while the evening had all the excitement and pageantry expected of a competition, there was something else there too – the manifestation of our future. 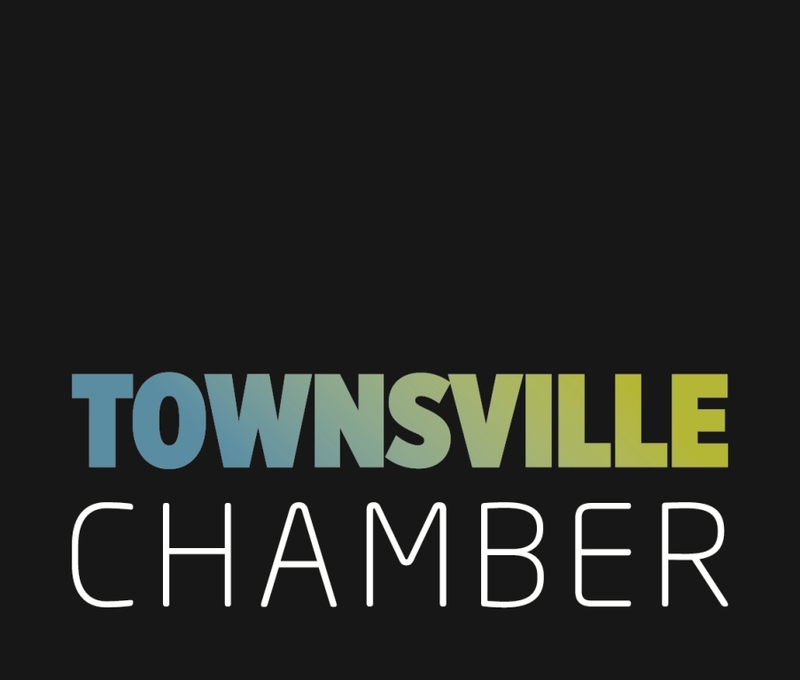 The Townsville Chamber has been coordinating the Business Awards since 1997. Now held every two years, the Business Awards are a snapshot of North Queensland’s business community. Comparing past Awards snapshots tells the story of how the region is changing. You could argue that Townsville remains a service town, with traditional sectors at the core of its economic engine. But the lines that separate each sector are blurring. Emerging businesses are hybrids of multiple sectors, blending various professional skills, and leveraging from technology to solve problems. For example, the 2018 Optus Young Business Person Award had four finalists – a boiler maker who takes up small scale but complex engineering problems; a principal dancer who runs a cultural icon; a speech pathologist who wants her practice to go global; and the winner, Maddy Voinea, is a videographer who tells compelling corporate stories. By contrast, the Young Employee Award finalists presented traditional professions with exceptional engineers, bank manager, solicitor, and media. The winner, James Wallace, a chemical engineer in his early 30’s, is in charge of production and manages 180 employees. It’s a bright departure from engineering norms where operational responsibilities usually come with age, not just talent. The Aon Risk Solution Employees Choice Award finalists, celebrating great employers, included larger organisations like a university and a developer, but also, curiously, three small allied health services. Every finalist expressed the importance of the individual, of creativity, of respect, and of life outside of work. The winner, the McManus Group, also included the basic ingredients needed for a successful business – pride, determination, loyalty and trust. The TAFE Queensland North Region Business Solution Award, celebrating businesses that have changed to remain viable, showcased the new face of our business community. Finalists were an allied health service who changed its business model to take advantage of the National Disability Insurance Scheme; a miner who became a farmer using alternate cane growing practices and the only Queensland producer of the Summerland chicken; a homelessness program who devised a way to increase access and service while reducing staffing costs; and an ageing entertainment centre who reinvented itself to meet the expectations of a younger generation. The winner, Bare Naked Industry, is a boutique sandblasting and coating enterprise, with customers ranging from motorcycle enthusiasts to the mining industry. The Virgin Australia Business Community Award is about corporate giving, and while the six finalists exceeded the criteria, a high number of finalists across all Awards support their community as a way of doing business. Award finalists were a bank, two support services – one for health and social services, the other for housing; an IT and equipment retailer and an allied health service. The winner, Firstin Physio, from Ayr, is a husband and wife team who give free injury prevention clinics at their local high school and advice on adolescent health and activity. They understand that the best way to get business in a smaller town is to first give of yourself. The overall winner, the Awards Champion also comes from Ayr. TalkHQ Speech Pathology specializes in speech services in remote and rural areas, for which they also do community work like setting up toy libraries. The local children love new toys and the toys help their clients with therapy. From one clinic, they now have five, with plans to expand across the country and a vision to take over the world. The divide between what’s professional and what’s personal is fading. Small businesses nowadays don’t separate their business plans for their community engagement. They have no hesitation at looking for answers outside their silos. By giving less importance to boundaries, they get a better understanding of their customers and a better look at the opportunities at hand. Check our website for our next events.